The construction will begin on a stretch west of the Décarie in 2020 because of ongoing work on the Turcot Interchange, the city says. Lito Gumatay can't remember a time when Côte-Saint-Luc Road wasn't in disrepair. "I always try to remember which hole is bigger," said Gumatay about the potholes dotting the stretch of road. He's lived in an apartment near the intersection of Côte-Saint-Luc and Grand Boulevard, for about two decades — and over that time, he's developed a system to deal with the craters underfoot. "I try to keep an eye on it. Instead of looking straight, I look down to see all the potholes," he said. Montreal has already started roadwork on the section of Côte-Saint-Luc​ Rd. east of the Décarie. After years of complaints from residents and local politicians, it now says construction is finally coming to the stretch that sits west of Décarie — but it will only begin in 2020 because of ongoing construction on the Turcot Interchange, the city said. Côte-Saint-Luc​ Rd. runs from the Meadowbrook Golf Club to the border of Westmount, where it then turns into The Boulevard. 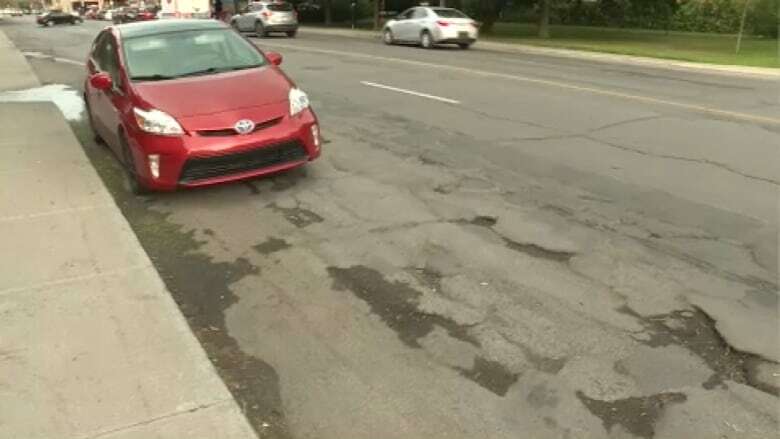 The responsibility for the road's upkeep is shared between the City of Montreal and Côte Saint-Luc. Most of it falls under the jurisdiction of Montreal, though. Côte Saint-Luc Mayor Mitchell Brownstein says he hopes Montreal will follow through on its construction plans. "Denis Coderre had it on the plan for 2018, and then things changed with the Turcot," he said. "They tried to patch it and repatch it, but there's potholes and then patching on top," Brownstein said. Hampstead was previously responsible for parts of the road, too. But that changed about two years ago when the town hired surveyors to come in and solve long-standing questions about where the border actually lies, said Hampstead Mayor Bill Steinberg. 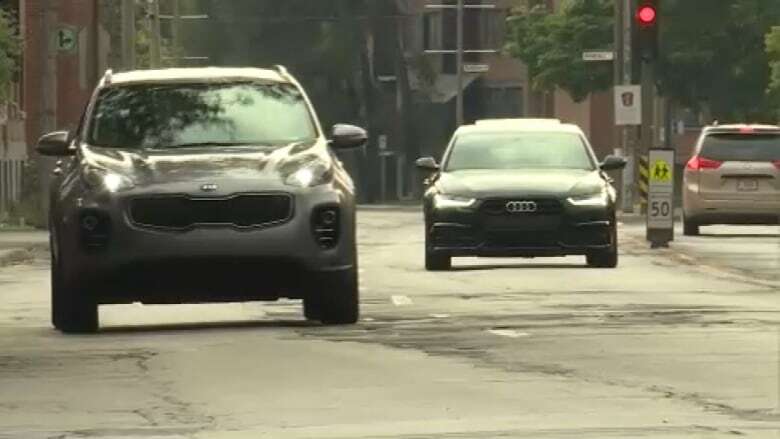 The surveyors found that Hampstead's border ended at the sidewalk from about Alpine Avenue to Dufferin Street, so since May 2017, Montreal has been responsible for maintaining the road, Steinberg said. He said he's blown a tire there, and residents complain regularly, so he tells them to avoid it and head down other streets instead. "Of course we would like [the construction to be] done as soon as possible," Steinberg said. "I'm not happy about the delays. At one time, I think it was even 2018, then it was 2019, and now it is 2020. I'd like it done as soon as possible."